On my way to the garden I stopped by the shed to get my tools and seeds. 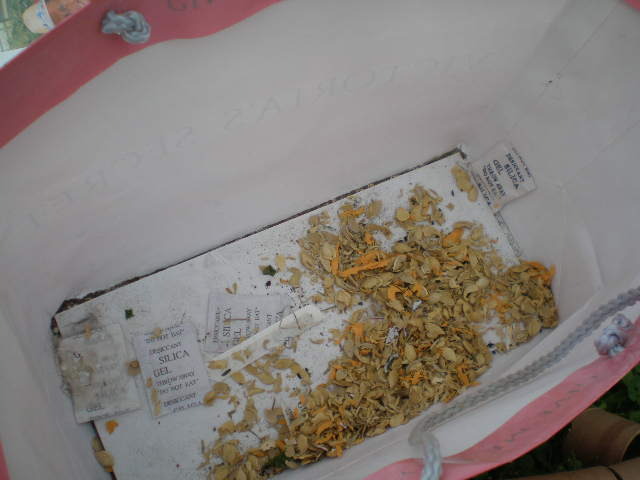 When I dug in the seed bag to get out the zucchini seeds, I discovered that a little critter had gotten into my seed bag and ate almost every single zucchini, golden zucchini and acorn squash seed. Lesson learned: don’t leave the seed bag in the shed! Zucchini and other summer squash are planted in hills. 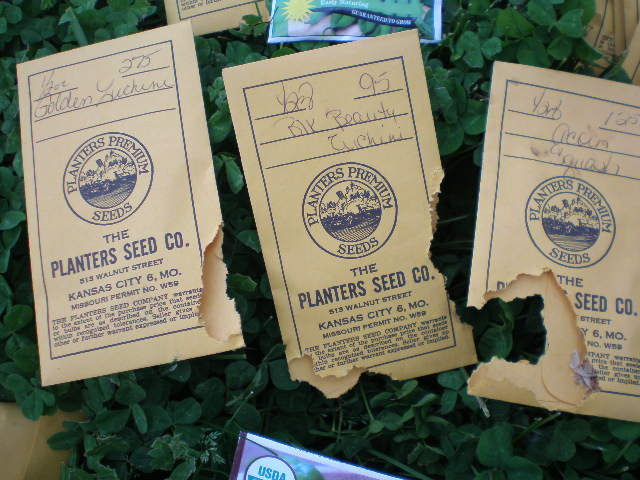 The Vegetable Gardner’s Bible says to plant them one per hill, 18 inches apart. The past two years I’ve planted them three plants per hill, three feet apart. That’s the method I used again this year. I’m sure either one would be great. So to plant zucchini you need to build a hill. To build a hill you need to dig a hole. Side note: it was very hard to take that picture! 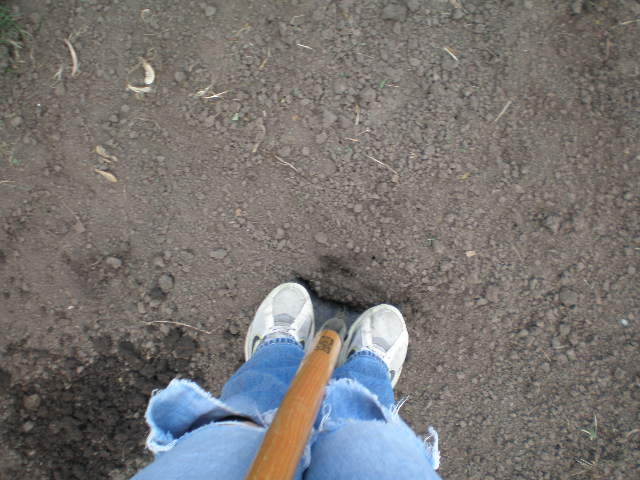 Dig a hole about 12-18 inches across and about 12 inches deep. 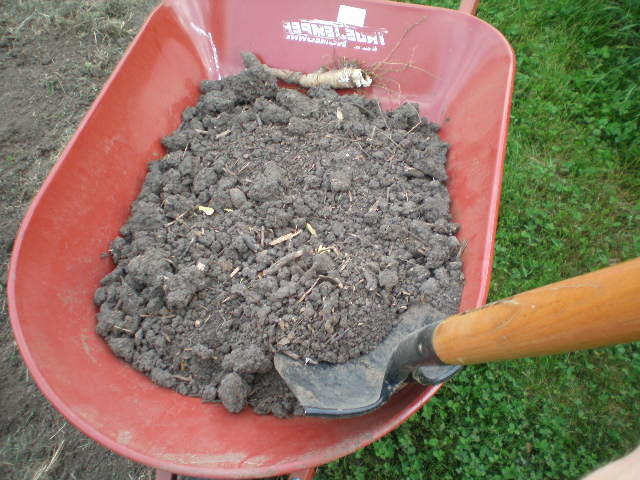 You can leave some loose soil in the bottom. 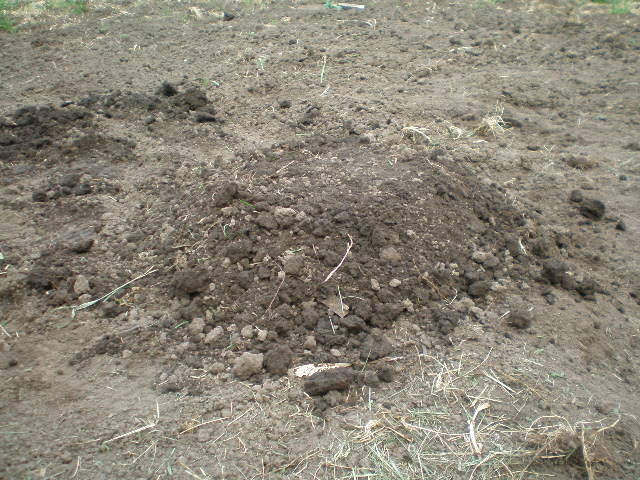 If you do not have your own compost you can buy it at a nursery or any store with a garden center. It’s fairly inexpensive. 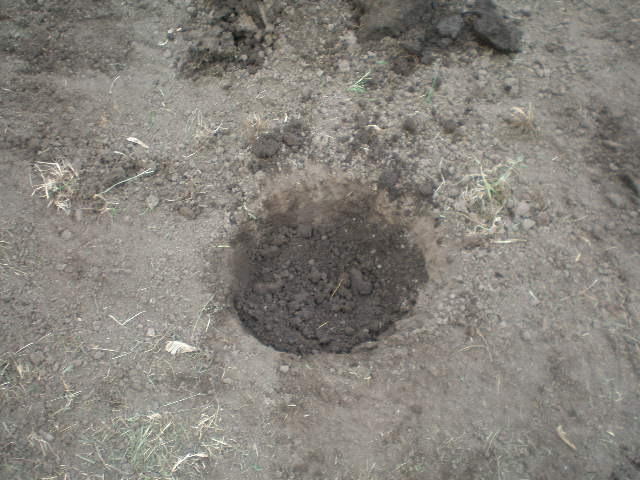 Once the hole is filled in with compost, pile the dirt you dug out of the hole on top to build a hill. Pat the dirt on top so the top is flat. The flat top part should be 12-18 inches apart. The hill should be about 12 inches high. It’s really hard to see in this picture, but there’s a hill there I swear! I was only able to salvage SIX zucchini seeds from the three packages I had in my seed bag. Dang critter! Normally I would plant six seeds to a hill and then thin them out to the three strongest plants later. 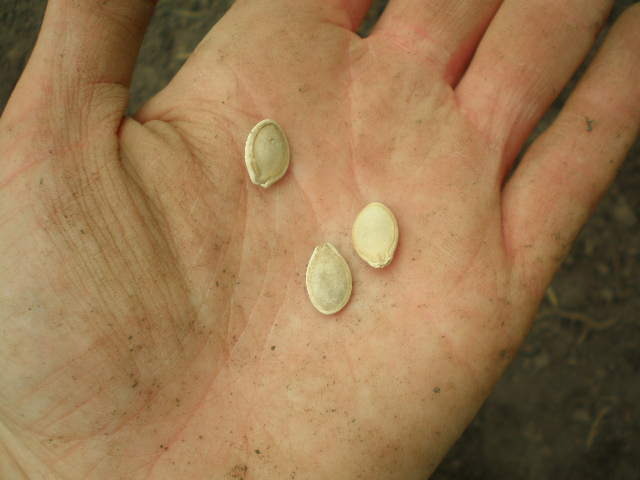 But since I only had six seeds total, I planted three per hill. I’m praying that all six of them sprout! Arrange them in a circle on the flat part of the hill, 4-6 inches apart. 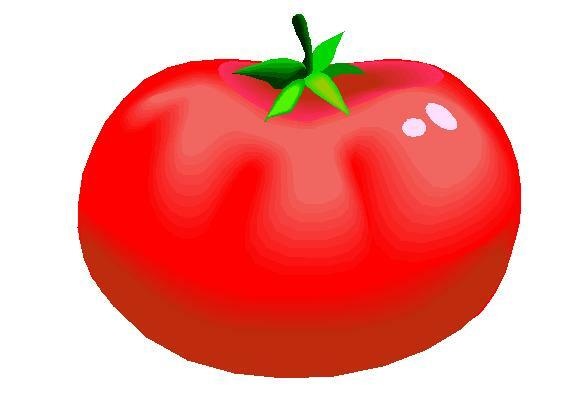 Poke them down in the soil about an inch deep. 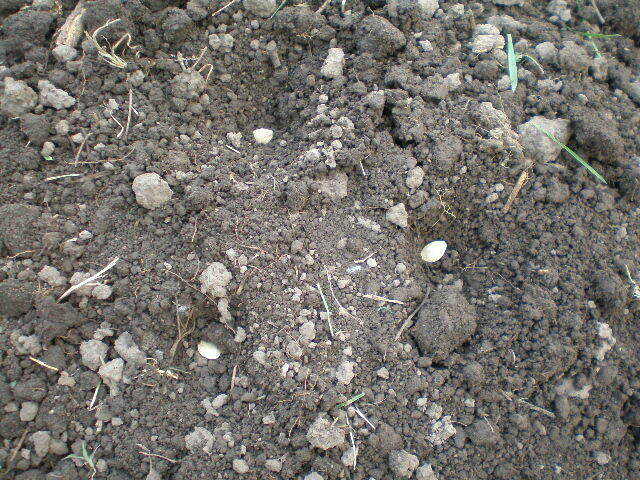 Then lightly cover them with soil. Unless there’s rain in the forecast in the near future, water the hills very well. The seeds should sprout in about a week! Well I’m off to sneak in a run before it starts raining again. I’m hoping to get out to the garden afterwards to see if the above planted zucchini seeds have sprouted! This is the kind of post I live for on gardening blogs. I planted zucchini and squash on small hills but the rain just washed them away. I think the hills were too small. Do you thin the plants to one once they sprout or do you let all three plants grow on the hill? Since I build larger hills that are farther apart, I let three plants grow per hill. This has worked great for me in the past. No problems until the squash bugs arrive. I’m still trying to figure out how to combat the squash bugs. But I checked the garden last night and none of my zucchinis have sprouted yet! I may have to go buy some more seeds.